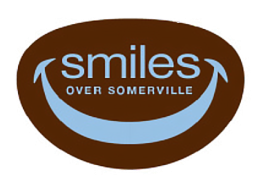 Smiles Over Somerville is a general and cosmetic dentistry practice located at 474 Broadway Suite 110 in Somerville, MA. Unlike larger offices, our small office offers personalized care and treatment that takes your specific needs and requests into account, while using state of the art technologies and methods. We offer high quality dentistry while taking the time to get to know you and your desires. We care for you and your entire family! Dr. Emily B. Chang has been a general dentist since 1999. She worked as a dentist in California from 1999 to 2007, in Cambridge, MA from 2007 to 2008, and in Somerville, MA from 2008 to present. She founded Smiles Over Somerville in 2008. She uses aesthetic materials such as ceramics and mercury-free tooth-colored fillings. She strives for optimal oral health for her patients while taking into account patient comfort, aesthetics, and function. Dr. Chang is a member of Middlesex District Dental Society, Massachusetts Dental Society, and the American Dental Association. We are currently accepting new patients and we accept most insurances. We see adults and children, and offer senior discounts. Urgent Care appointments are available.